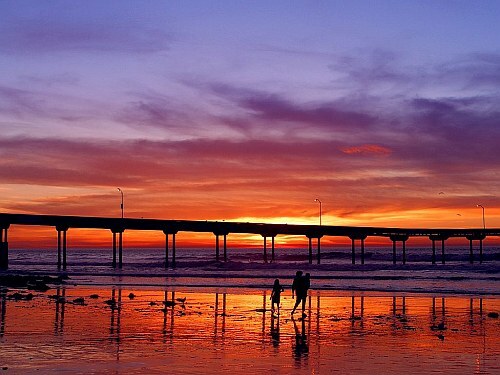 WestJet is showing a few well priced flights from Winnipeg to San Diego, California in January for $348 CAD roundtrip including taxes. 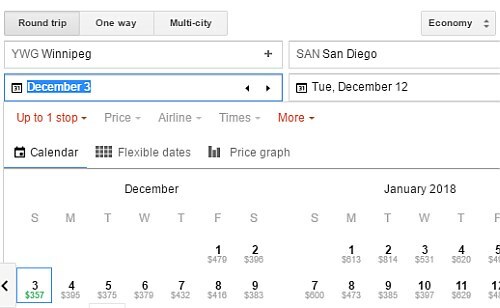 Update 10/16 - There are a few new December dates for flights from Winnipeg to San Diego with WestJet for $349 CAD roundtrip. On Priceline, the price will show up as $274 USD roundtrip including taxes. Priceline is *always* in $USD. This will work out to $349 CAD roundtrip when booked using a Canadian credit card, and including the typical credit card foreign exchange fee.